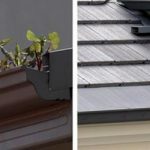 Home » How Does Gutter Guard Work? When it comes to maintaining your home, we get it, there’s always so much to do, and such little time to do it. However, at AquaGuard we have a home maintenance solution that will elevate the pain of needing to clear your gutters of debris regularly. 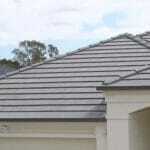 At AquaGuard, we have been providing Australian homes with the ultimate gutter protection for years. Never again will you need to climb ladders to unsafe heights to only spend hours ensuring your gutters are clear and your home is safe. But, how does our renowned Gutter Guard solution work? Let’s find out! 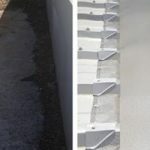 How Does AquaGuard’s Gutter Guard Work? When you choose an AquaGuard Gutter Guard solution, you are making a wise investment. Not only will Gutter Guard reduce your home maintenance requirements, but it will also increase the safety of your property but removing the weight and stress that is sometimes placed on your roof. 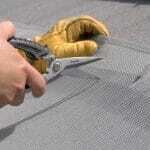 Our Gutter Guard works by applying a mesh barrier between your gutters and your roof. This allows rainwater to simply flow through while blocking out any unwanted debris. 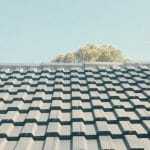 Leaving you with clean, clear gutters all year round! 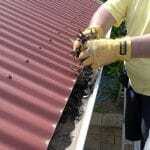 Our qualified Gutter Guard installers will start and finish your Gutter Guard installation by completing safety checks. This is to ensure that we are taking the correct safety measures throughout the installation process. Next, We’ll Clean your Gutters! In order to make sure that your gutters are entirely debris-free, we will give your gutters a thorough flushing with water to dislodge even the smallest amount of rubbish. Now for the important part, installation. 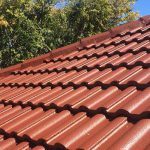 Here our team of highly-experienced Gutter Guard installers will determine which fitting saddles and trims are best suited to your roof type. They will then install the Gutter Guard securely, allowing us to create you a long-term, reliable fixing system that will see your gutters debris-free for years to come! To ensure that our Gutter Guard installation is nothing short of perfection, our team will complete a final inspection once installation is complete. 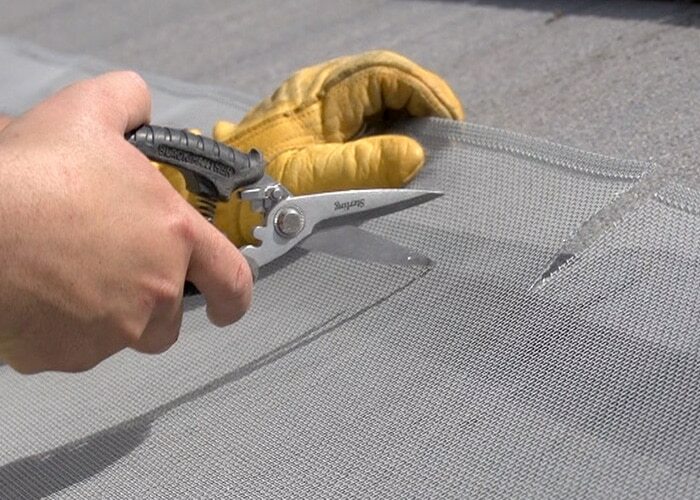 Here we will double check fittings and fixtures to ensure that your Gutter Guard is well secured to your roof, while also making sure you are 100% satisfied with our service. Looking for a Premium Gutter Guard Solution? Look No Further? 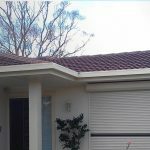 If your Australian home is in need of a Gutter Guard solution, look no further than the AquaGuard team. Call today!